To claim this profile, please confirm you are Jack Mangene. To follow this profile, please let us know your relationship to Jack Mangene. Jack's baseball stats have been updated for the loss vs. Philipsburg-Osceola. RESULTLoss Varsity baseball vs. Philipsburg-Osceola. The St. Joseph's Catholic Academy varsity baseball team lost Friday's home non-conference game against Philipsburg-Osceola (Philipsburg, PA) by a score of 6-1. RESULTLoss Varsity baseball vs. NRA. The St. Joseph's Catholic Academy varsity baseball team lost Wednesday's home non-conference game against Neumann Regional Academy (Williamsport, PA) by a score of 5-2. RESULTLoss Varsity baseball vs. Jersey Shore. The St. Joseph's Catholic Academy varsity baseball team lost Monday's home non-conference game against Jersey Shore (PA) by a score of 13-4. RESULTWin Varsity baseball vs. Midd-West. The St. Joseph's Catholic Academy varsity baseball team won Thursday's home non-conference game against Midd-West (Middleburg, PA) by a score of 10-8. RESULTLoss Varsity baseball @ West Shamokin. The St. Joseph's Catholic Academy varsity baseball team lost Wednesday's away non-conference game against West Shamokin (Rural Valley, PA) by a score of 9-5. Jack's baseball stats have been updated for the loss @ Tyrone. RESULTLoss Varsity baseball @ Tyrone. The St. Joseph's Catholic Academy varsity baseball team lost Monday's away non-conference game against Tyrone (PA) by a score of 12-2. Jack has been added to the St. Joseph's Catholic Academy baseball roster. Varsity baseball @ Penn Cambria. RESULTLoss Boys varsity basketball vs. Vincentian Academy. The St. Joseph's Catholic Academy varsity basketball team lost Friday's neutral playoff game against Vincentian Academy (Pittsburgh, PA) by a score of 79-65. This game is part of the "2019 PIAA Boys' Basketball Championship - 1A Boys' Championship" tournament. Jack was selected the Player of the Game in the basketball game against Juniata Valley on Sat, Feb 23 2019. Congratulations to #25 Jack Mangene for being selected the St. Joseph's Catholic Academy Basketball Player of the Game. 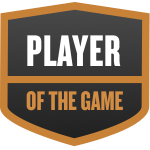 Jack was selected the Player of the Game in the basketball game against Blacklick Valley on Tue, Feb 26 2019. Jack's basketball stats have been updated for the win vs. Blacklick Valley. RESULTWin Boys varsity basketball vs. Blacklick Valley. The St. Joseph's Catholic Academy varsity basketball team won Tuesday's neutral playoff game against Blacklick Valley (Nanty Glo, PA) by a score of 52-46. Jack's basketball stats have been updated for the loss vs. Juniata Valley. RESULTLoss Boys varsity basketball vs. Juniata Valley. The St. Joseph's Catholic Academy varsity basketball team lost Saturday's home playoff game against Juniata Valley (Alexandria, PA) in overtime by a score of 78-75. RESULTWin Boys varsity basketball vs. Harrisburg Academy. The St. Joseph's Catholic Academy varsity basketball team won Saturday's neutral conference game against Harrisburg Academy (Wormleysburg, PA) by a score of 76-44. Jack's basketball stats have been updated for the win vs. Southern Huntingdon County.